In our daily life, there are many different kinds of welded steel pipes used in various applications, including carbon steel wire casing, spiral welded steel pipes, straight seam welded steel pipes, helical sheam submerged arc welded steel pipes and high frequency welded steel pipes. Welded steel pipe plays a significant role in the modern times. Welded steel pipe can be divided into straight seam welded pipe and spiral welded pipe as per different shapes in manufacturing process. The straight seam welded pipe undergoes much simpler processing method than the spiral welded pipe does. Meanwhile, the former has higher efficiency than the later. Furthermore, thanks to its low manufacturing costs, straight seam welded pipe wins fast development prospect. However, the strength of spiral welded pipe is generally higher than that of straight seam welded pipe because the later is made from a narrow billet production into a larger diameter welded steel pipe. As a result, straight seam welded steel pipe usually has a small diameter while the spiral welded steel pipe mostly has large diameter. 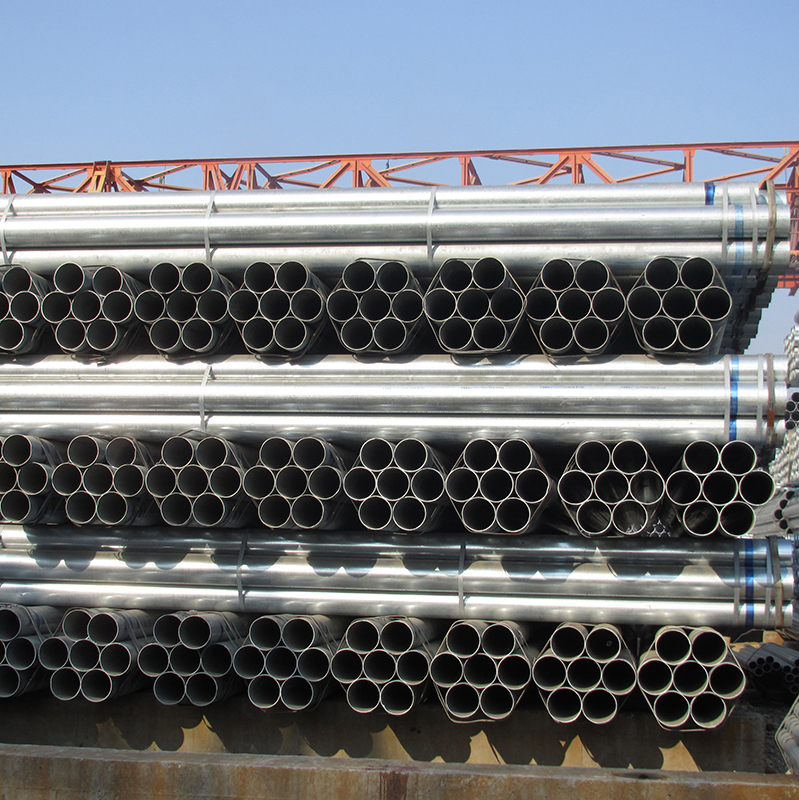 Galvanized steel pipe as one of structural steel pipes generally has the rational cost effective in the market today. Compared with other typical steel pipe coatings, such as specialized painting and powder coating, galvanization is much more labor-intensive, resulting in a higher initial cost for contractors. Besides, due to its durability and anti-corrosive properties, galvanized steel pipe can recycled and reused, which to some degree save a lot of money during the post maintenance work. If you choose a galvanized pipe, you can avoid the cost of maintaining and replacing corroded pipes. With galvanized pipe, your pipes can last a lot longer than a non galvanized one, which will save you a lot of money in the project. In the construction field, welded steel pipe has been widely used for structural materials for some building activities today. Hot dipped galvanized steel pipe has been considered popular a lot among many users today. For one thing, the galvanization process protects the steel from rusting damage that can occur during transportation, installation and service. The zinc layer on the surface of pipe can form a barrier protection for steel products to extend the service life in applications. For the other thing, this layer is also resistant to wear and scratch, which makes the steel look more attractive. Unlike other structural steel materials, galvanized steel is immediately ready for use when it is delivered. No additional preparation of the surface is required, no time-consuming inspections, additional painting or coatings are needed. Once the structure is assembled, contractors can immediately begin the next stage of construction without having to worry about the galvanized steel materials. DongPengBoDa Steel Pipe Group is one famous steel pipe manufacturer in China. We are committed to providing various types of welded steel pipes. Please contact us if you have any need.